A May 2 gathering will highlight the work of Native teacher education programs. 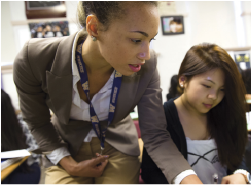 UW's nationally-ranked Secondary Teacher Education Program prepares equity-driven, student-centered educators. 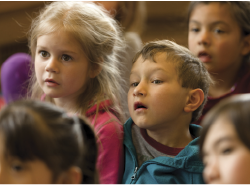 A UW program aims to ease the shortage of dual language immersion teachers. 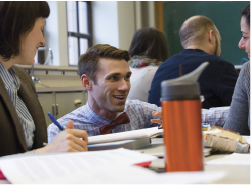 Five of the UW's specialty programs in education are ranked among the nation's top 12. Create change through education across contexts in UW's Education, Communities and Organizations major. Undergraduate alums pursue careers in education, social services, public policy, childcare, or research. Want to make a difference? Our teacher candidates work in a variety of field-based learning opportunities. 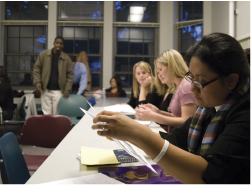 We offer numerous specialized fields of research with an ongoing commitment to educational equity. Our programs prepare students for leadership at the district or school level as well as in athletics or policy. A new study by a UW researcher finds that nudge letters sent to families in Seattle had a positive impact on attendance in middle school, but not other grade levels. Django Paris, director of the Banks Center for Educational Justice, chaired an AERA presidential session exploring the work of institutional centers working to advance educational justice and opportunities for future partnerships.